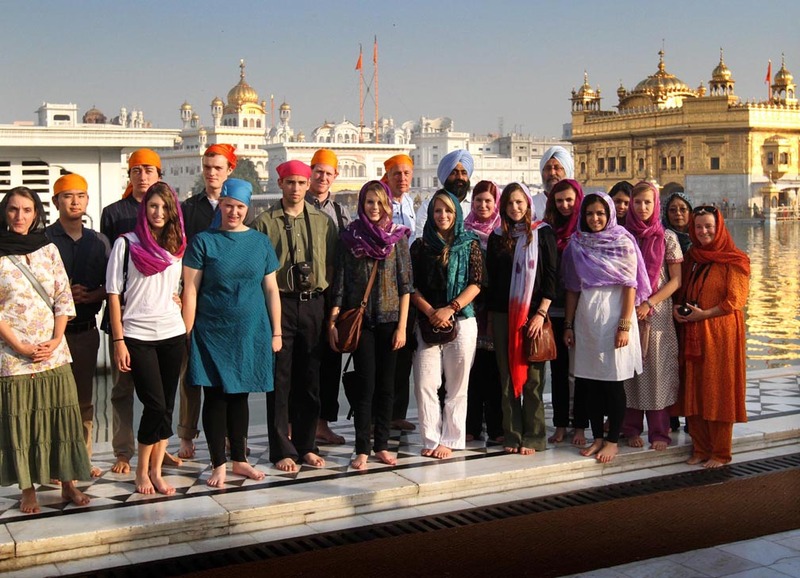 On Monday we had the opportunity to visit The Golden Temple in Amritsar. 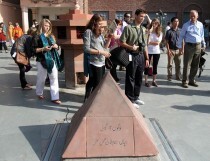 This site is considered to be one of the most holy places for the Sikh people. 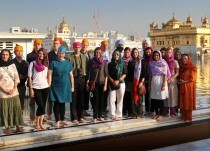 We left our hotel at 6:30 A.M. and took cabs to The Golden Temple. At the entrance we were required to take off our shoes and cover our heads. Once we did that we had to wash our hands and feet. We entered into an expansive square marble courtyard with a big pool of water in the center of it. In the middle of the pool stood The Golden Temple. There were people bathing in the water. I later learned that the Sikh people consider the water to be holy and to have healing qualities. We stood in line waiting to enter The Golden Temple. The people around us seemed intrigued by our presence but also very welcoming. While we waited we could hear music coming from within the temple. Upon entering the temple I saw Sikh holy men chanting prayers. People were making offerings of money and various other things. The walls and floors were engraved with designs made from precious stones. We explored the different levels of the temple. On each floor there were people making offerings and chanting prayers. 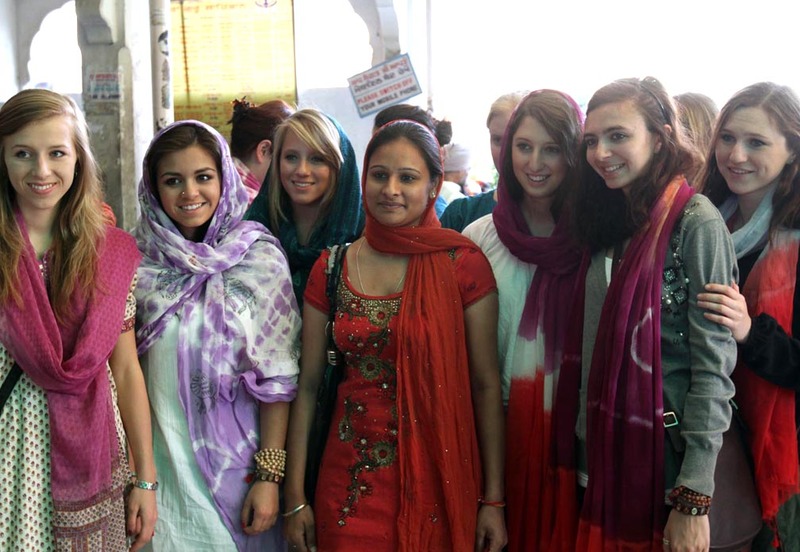 After visiting The Golden Temple we walked to Jallianwala Baghdad. 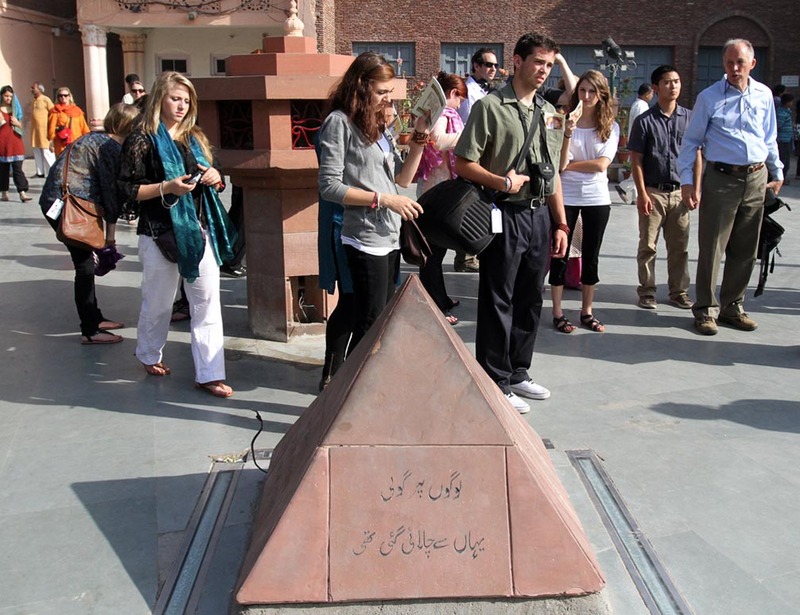 This site is where non-violent Indian protesters were massacred by the British military. It was interesting to visit because of how much history was there and because of how important it is to the Indian people.